Celtic, Britain, Atrebates. Tincommius. 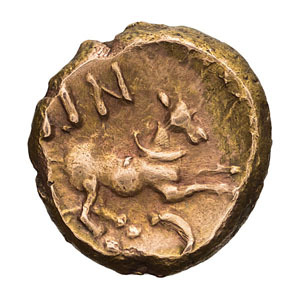 c. 30-10 BC. 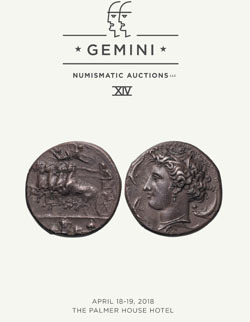 Gold Quarter Stater, 1.18gg. (7h). 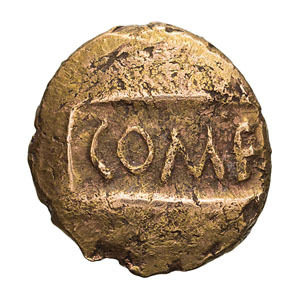 , Third coinage, c. 20-10 BC. Obv: COM F on inset tablet . Rx: [T]IN [C], Celticized horse right.. Van Arsdell 390-1. EF. Ex Philip T. Ashton Collection. Ex CNG 72, 14 June 2006, lot 35, there with pedigree " From the Andrew Wayne Collection. Ex Dix, Noonan, Webb 61 (17 March 2004), lot 464".